Joseph Webb III maintains a serious commitment to his clients. Joe helps his clients reach the next level of financial success through seminars, financial counseling, debt relief and comprehensive financial planning. Joe, along with the financial professionals at Profit Planners Management, provides investment services, asset protection, tax strategies, specialized insurances and survivor assistance. 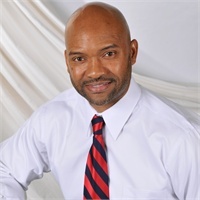 Along with his role at Profit Planners Management, Joe is also the President and Chairman of the Board of Directors of Twin Peaks Financial Ministries, which offers its clients certified budget counseling, debt settlement, credit restoration, and budget/financial planning. Joe received his education through St. Thomas Christian University and Kaplan Financial University and served his country in the Air Force Reserves for 30 years.